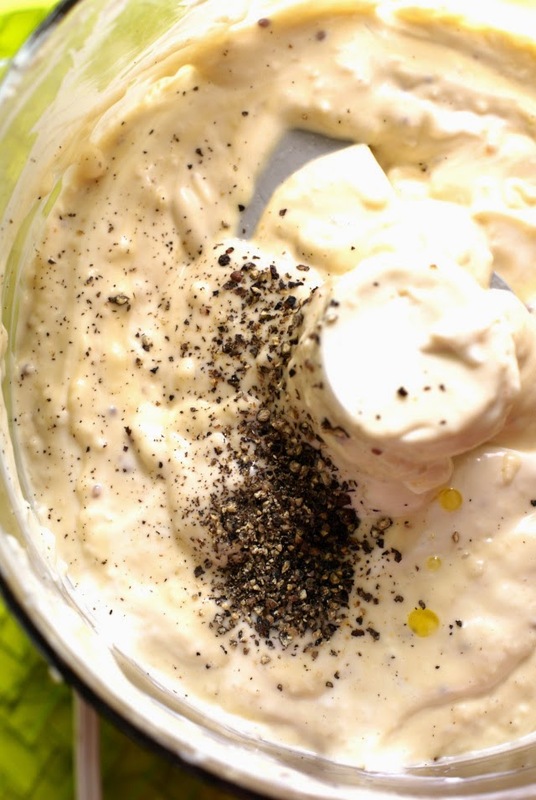 This Homemade Creamy Caesar Dressing recipe rivals any store-bought dressing I have ever tried. This recipe is made with lots of fresh parmesan cheese, garlic, and mustard, but no raw eggs or anchovies. I consider myself a caesar dressing snob. Well, maybe not a snob, but I like what I like. I've found that most people are incredibly picky when it comes to dressing choices. I have tried bottle after bottle of caesar dressing and have only come up with one brand that I will buy on a consistent basis. But, unfortunately, none of them ever came close to the cheesy, garlicky, creamy dressing of my dreams. Mark my words, I will never buy creamy caesar salad dressing from the store again. This dressing is spot on what I have been looking for, but could never find in a bottle. The best part? 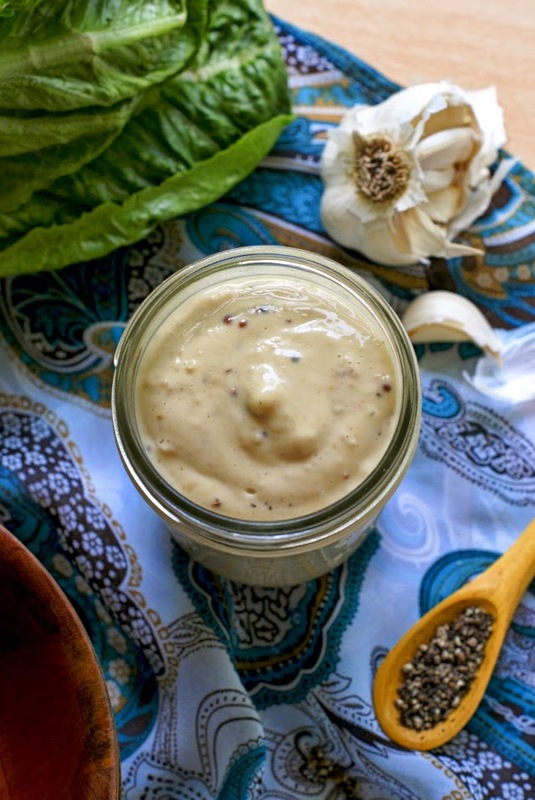 I already had every single thing I needed to make this dressing in my pantry. Actually, if you're looking at the cup half empty instead of half full, you could say that it's actually pretty sad. I've had all of the ingredients to make this dressing just sitting in my pantry and I never put them together to make it. Piss poor. I should be very disappointed with myself. Lucky for me I'm a half full kind of girl, so I'll just rejoice in the fact that I have found the perfect homemade creamy caesar dressing ever. So, what makes it so good? First there's the garlic. I looooove me some garlic, so I always go a little overboard. This batch was...potent. Let's just say you wouldn't have wanted to have a conversation with me after I ate it. Especially if you're a vampire. Then, there's all of that glorious parmesan cheese. Cheese is up there in my top three favorite foods of all time and there's plenty of it in this recipe. I have been a cheese lover forever and I think I could live on just cheese, if I had to. I'm also big on mustard, but that's a more recent food love for me. Horseradish mustard? Drool. I adore it. But, not for this recipe. For this one we use a nice coarse ground variety. Yum. What this recipe doesn't have it the traditional raw egg. Sorry to those of you who are going to chastise me for not going all the way to the classic caesar's roots with this one. BUT, mayo is made from eggs. So there. Close enough for me. I didn't use anchovies, either. Go ahead, I'll duck while you throw things at me. A "real" caesar has them, but I don't keep them in the pantry (who does? ), so I went with worcestershire sauce, which is made from anchovies. Again, close enough for me. 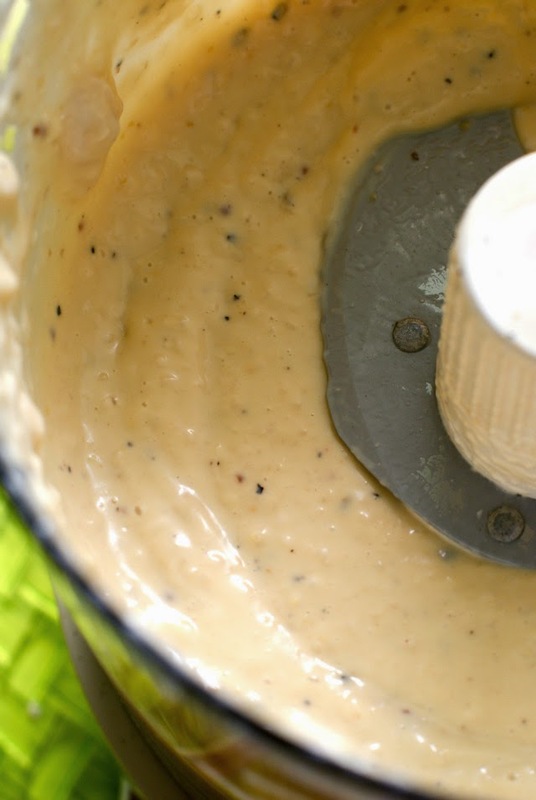 If you have been searching for the perfect creamy, cheesy, bold, and garlicky caesar salad dressing recipe that you can make at home, I implore you to try this recipe. It is truly the best! 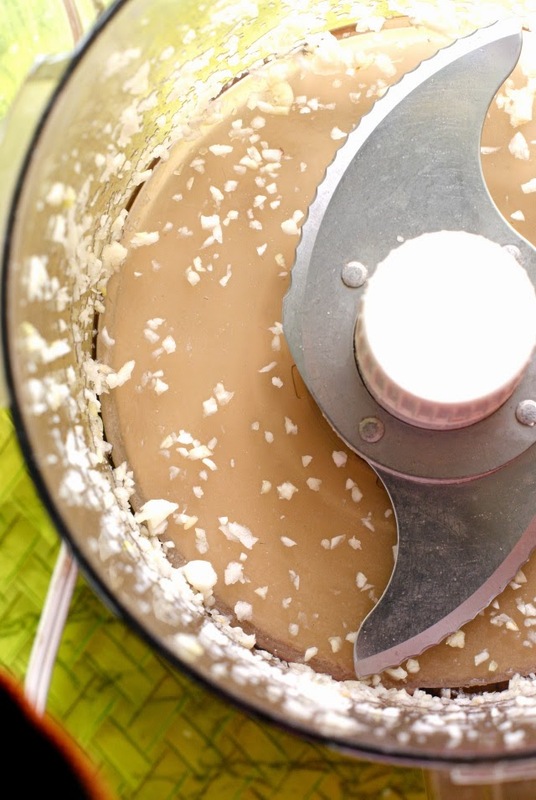 In your food processor, process the garlic until minced. Add the mayonnaise, mustard, ground mustard, vinegar, worcestershire, and parmesan cheese. Begin processing, then slowly add the olive oil while the machine is on. Process until the dressing reaches your desired consistency. To thin, add a little more olive oil. Add the pepper and pulse until combined. I got the little yellow wooden spoon pictured above at Crystal Springs Museum of Modern Art while on my trip for No Kid Hungry in Arkansas. I'd love for you to check out the post I wrote about it, if you've got time! Oh yum! I love Caesar, but always feel a little bit leery about the raw egg and anchovies, so this is perfect! Can't wait to try it. Curious what you mean by coarse grain mustard. Can you recommend a brand? I'm not much of a mustard connoisseur and only stock regular and the spicy brown version. Do a google search for it and the photos will show you what it is. I don't buy it regularly, but it definitely is available in your local grocery store. It says no eggs... but surely the mayo contains eggs? I meant a raw eggs like traditional caesar. :) I will edit the post to clarify. Thank you! I don't like anchovies or egg either so this recipe is just what I needed! What kind of mayonnaise do you use/recommend? Excellent recipe, I did add a bit more parmesan and extra pepper. Thank you. It is going to be my go to Cesar's dressing recipe. Oh my gosh yes to all the nasty bottled ones! I've been making my own for years, but always felt like it was missing something... The wort was it! Delish! Thank you. 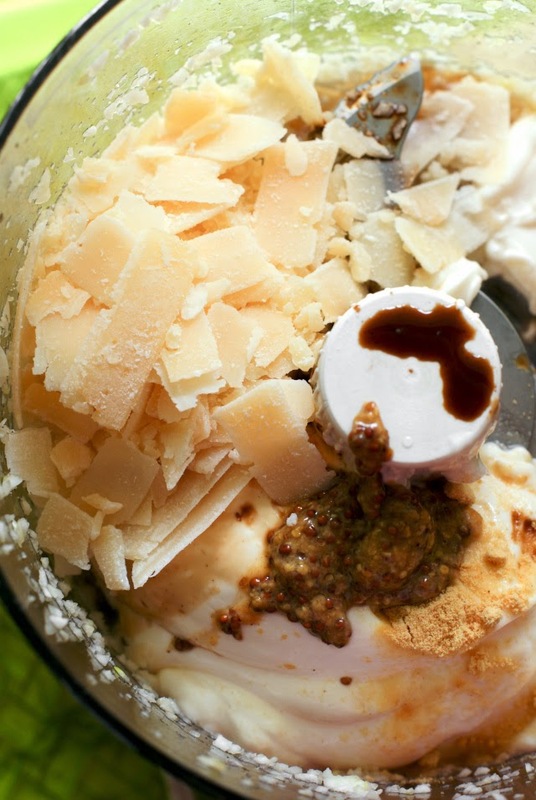 I so love Caesar Salad–I’m going to bookmark this and make it for lunch next week! This recipe is really good. A "Keeper" for sure! BY FAR, the BEST Caesar dressing I have ever made or tasted from the bottle.... I will keep this jarred in my refrig! 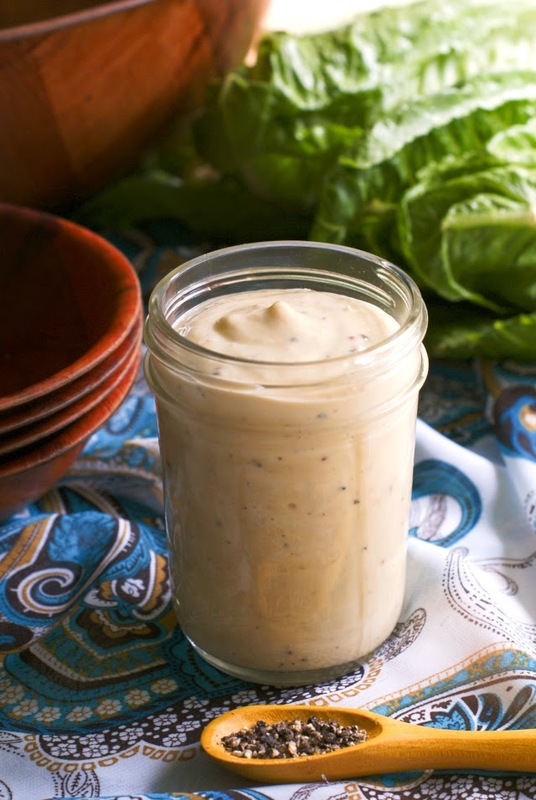 I've made three times now and have deleted all my other pinned Caesar dressing recipes! I swapped out the white wine vinegar for lemon juice instead. Soooo good! My new fav Caesar dressing.